Four years ago, after countless back and forth and should I, should I not's, I sat down, opened my laptop and created this blog. This little space on the web started off as a way for me to keep writing and showcase my writing skills, in the event that I wanted a portfolio to work in NYC one day. I originally thought of calling it Sights on the City, but it just didn't sit right. But in the past 1,460 days, this changed from being a place to show that I could write, to the place where I needed to write. I've opened up about love, friendship, loss, rejection and perspective. I've showed outfits I've worn and trips I've been on. I've shared all of my go-to secrets and hacks for beauty, fashion and more. I've lived through the better part of my college experience with all of your eyes on me. In the past four years, The Caro Diaries became my baby. My first-born child - complete with all of the stress, tears and frustration that sometimes accompany real children. But like an actual child, there are always the good moments, and when they're good, they're great. Working with some of my dream brands, meeting some incredible people, learning so much more about writing, editing and digital media than I have in any classroom - I've experienced all of these things and more in the lifespan of this blog. But perhaps the most important thing that The Caro Diaries has given me is confidence. With every word, paragraph, post, I find the confidence in myself to continue writing, to hit publish and to share a (usually hidden) part of myself with the world. 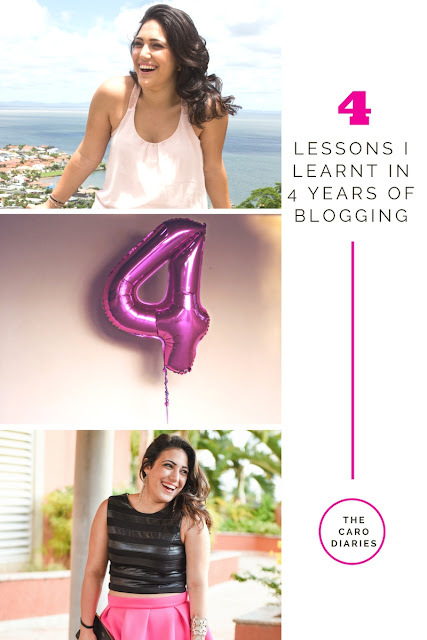 In honor of four years of blogging, I'm sharing four lessons I've learnt about blogging, the industry and all the good, bad and the ugly! 1: It's OK to put your life first // Yes, while blogging can be a full-time job, it often isn't for everyone, and it certainly isn't for me. So sometimes - in between your real full-time job, or school, or involvement, or boyfriends and girlfriends, or family, or a social life - blogging can fall behind on the priority list, and that's okay. 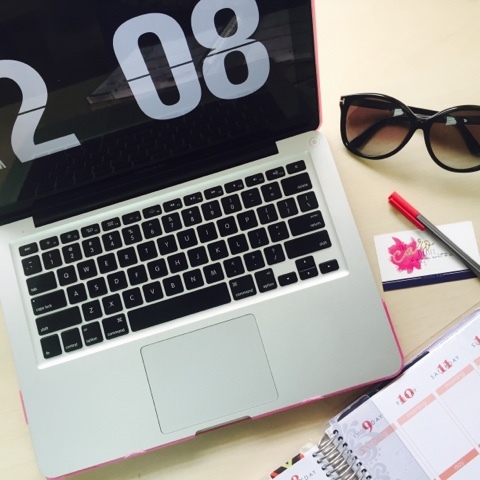 In order to have a lifestyle blog, you have to live! So stop apologizing for putting yourself and your life before the blog - remember your content is always better when your life is content. 2: It's A LOT of hard work // I think the biggest misconception is that having a blog is soooo easy, and all you have to do is take a few pictures, write a few words and boom, you're on your way to a full-fledged income. No. Just, no. It doesn't work that way. Blogging is difficult, and it becomes even harder when you're monetizing your platform. In any given blog post, there are 2 to 3 hours of work on the back end that you don't see going into it. Taking photos, photoshop and creating graphics, writing and editing countless times, making sure every little detail is just perfect - and then the social media promotion comes: twitter, facebook, pinterest, instagram, linkedin, youtube.. you name it, we're on it and we're working our asses off to make sure you see the links that brought you here. So yeah, definitely a lot of work! 3: Don't compare yourself // These days, everyone and their mother has a blog - all because of the glamorization of the industry: going to fashion weeks, getting free clothes and cool products, getting paid lucratively to post about brands you like. So it's easy, really easy, to fall into the comparison game. 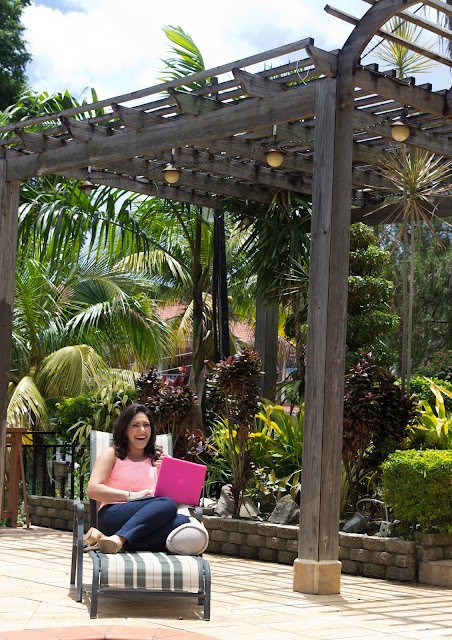 This blogger is working with this company, this blogger got a comped trip to a European city, this blogger made enough money in one post to file taxes next year. Stop, just stop. In order to be really and truly successful in blogging (and by that I don't mean making money, I mean enjoying blogging), you need to figure out who YOU are and what your blog is. Stick to who you are - write in your natural voice, blog about your style.. your readers are your friends, and just because 8 people on your Instagram feed have worn a choker or an off-the-shoulder top in the last 20 minutes, doesn't mean you need to suddenly post chokers and OTS tops too, especially if it's not your style. 4: It's SO much more than just a blog // I started this blog not knowing what to expect and what would come out of it. What did come out of it were some lifelong blogging friends, a ton of marketable skills that helped me land my dream job, and a redefined love for writing, in a whole new way. Yes, while The Caro Diaries is a series of pages and posts and pictures, it's way more than that. It represents my passion and all of my energy going into one huge project. It represents countless hours of brainstorming, note-taking, conferences and meetings, phone calls and emails, and jotted notes in the middle of a night just in case the idea may leave before the morning. It represents years of love and hard work and talent, shared in every single post. So yes, it's SO much more than just a blog - it's an extension of yourself, and every part of you that you want to share. So, as I turn the page and start another chapter, I'm excited. I know that while I may not have the time to write every day as I always want, there are so many more crazy things to be expected. And while I know that nothing lasts forever, I'm ready to watch my baby grow, flourish, and take on a life of its own. And until that day comes, you can find me here - sitting behind my laptop screen, like I was on that very first day, and as I will be until the very last. Congrats on four years! All of these lessons are so true! So so true Caro! Congratulations on 4 years! Can't wait to see what's to come! Such important lessons! Life absolutely has to come first. Balance is important! I LOVE this! Congrats on 4 years girlie! It really is so much more than a blog - I couldn't agree more! Congrats on the 4 years - that's amazing! The thing I still have to learn is how to stop comparing myself to other bloggers. I'm so happy that these amazing people get to achieve so much success with their blogs but I still can't help feeling jealous at times because I want that too! I just gotta stay focused and do the work. A lot of work is right! Congrats on 4 years! Happy 4 Years Caro!! <3 Very thankful to have met your sweet self through the internet! YES YES YES! I agree :) and congratulations! Happy 4 years!!! For me, it feels like 'home' .. it really is your baby, I get it! And yes, putting your LIFE first is not only important, but I think so essential. Here's to many years to come! CHEERS! I love this! 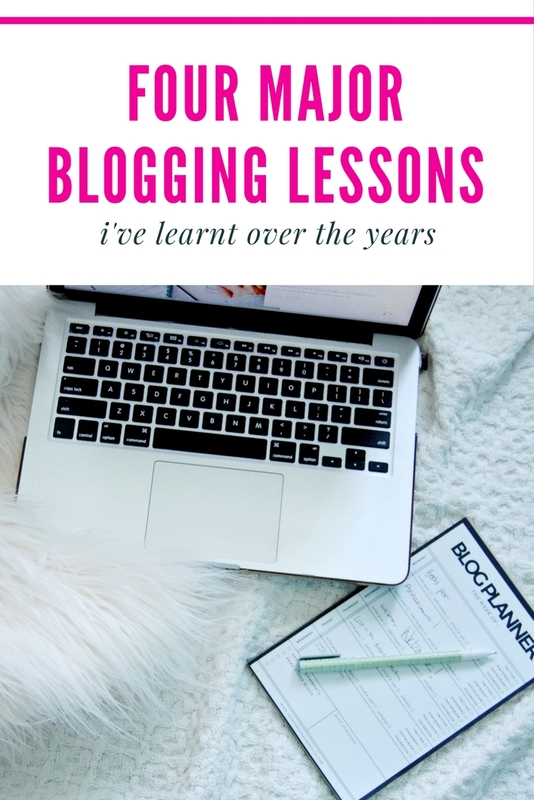 I'm actually not really sure when my "blogiversary" is because I just started one day and went through a big rebrand about two years in when I wanted to take it seriously! And I know what you mean when you say it's way more than 'just a blog', it's actually a lot of work, and I love my blogging friends! Congrats on your 4 year Blogiversary! I agree with all of these! Especially that blogging is hard work. I never realized that until I went head first into blogging. It's so worth it though! Congrats! It'll be 6 years for me come the end of May. It's a lot of work, but it's rewarding if you love it! This was beautiful girl! Congrats on 4 years that is absolutely amazing! I can't wait to see what else you bring! Congrats on 4 years! I think I definitely underestimated how much work it takes to keep a blog running. I also love your tip on just living your life and not always putting your blog first.